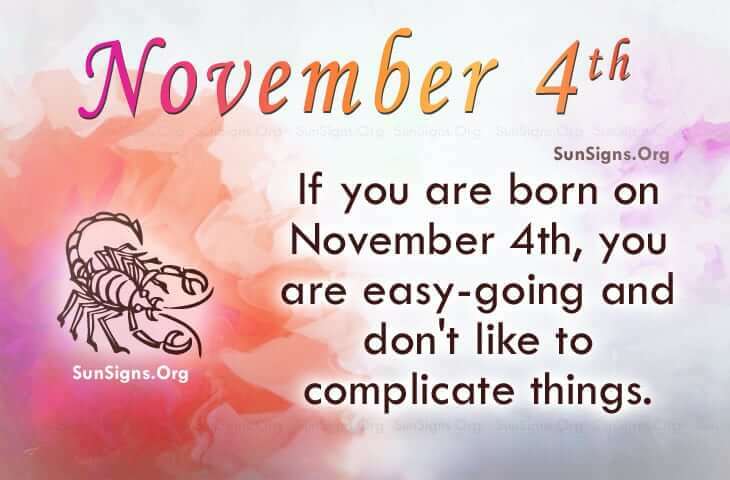 Famous people born November 4 are easy going Scorpio. They don’t like to complicate things so they take people and situations as they come. Hopefully, they can make them better. Generally, they prefer their own company as opposed to being with a group of people all of the time. When they are down in the dumps, they deal with it in their own way. The famous celebrity born on November 4 is self-reliant, observant, and fervent. When they’re in the company of others, they usually take over the conversation. They have so much to say in what seems like so little time. However, they can be totally without tact sometimes and people’s feelings are hurt because of it. This really doesn’t bother them as they could seemingly care less of what people think or say about them. Teaching could be a great career for them. They know how to make people understand the topics in which they speak about which makes them an awesome communicator. Famous people born on November 4th could be a natural at sales but they can be blunt and hurtful. They enjoy the simpler things in life and usually finish what they start. As a Scorpio, they are good at what they do. However, they could take better care of themselves.